There are a variety of stair lift parts that make up professionally designed stair lifts. They range from aluminum tracks that make the stair chair move to handheld controllers that are built into the armrest of the stair lift to swivel seats, footrest safety sensors and seat belts. Indy Stair Lifts, a division of Nationwide Lifts, is the national leader in stair lifts that include a full range of professionally designed stair lift parts. 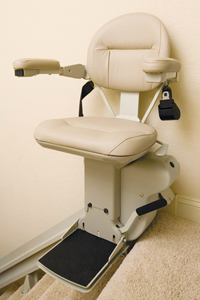 Our models include power swivel seats that provide for upper landing exit and entry; manual or power folding rails; safety sensors that prompt our stair lifts to stop when there’s an obstruction; and contoured 25-inch wide seats with molded seat-back for extra comfort. We also offer the Indy Curve model for curved staircases with a custom built rail that matches the contour of your stairway. The Indy Curve maneuvers through 90 and 180 degree turns and can also curve around a banister. Our stair lift models for straight and curved staircases come with 10 year warranties that are unavailable from other companies and ensure your Indy Stair Lift will be available for long term use. We also offer 24/7 service to handle any issues that may arise at any time. 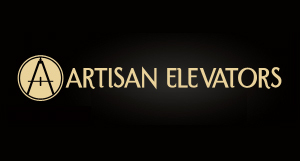 To find out more about our superlative stair lift models, call us at 1-888-203-5754 at your earliest convenience. A representative will assist you in choosing a model and set up a home inspection that will allow a technician to inspect your stairway and arrange for installation. Installation of straight stair lifts is usually done in about four hours. Curved staircases take longer due to custom fabrication. Whichever stair lift you choose, you’ll get the highest quality from Indy Stair Lifts with a full range of stair lift parts that are professionally designed to create a comfortable and efficient lift that enhances the independence of the individuals who use it.